Tiffany Williams shares her experience backstage as a nail artist for Tom Ford's NYFW show. 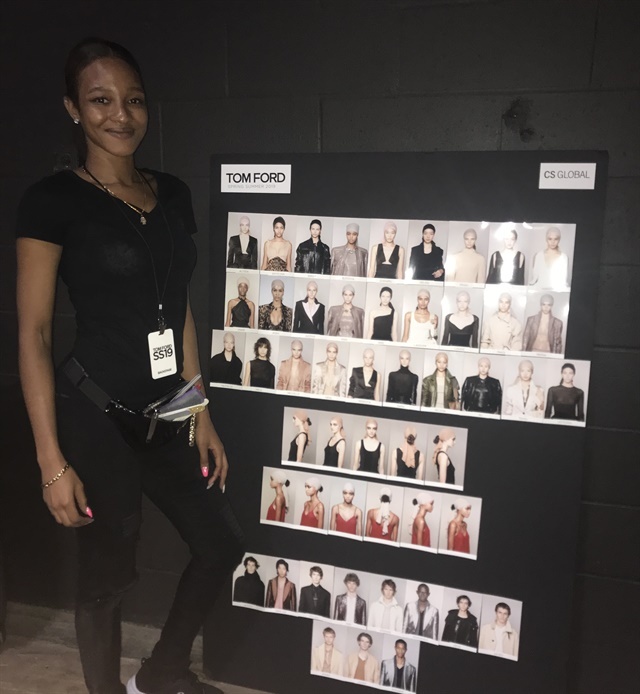 As New York Fashion Week kicked off, former NAILS student blogger and Beauty Changes Lives CND scholarship winner Tiffany Williams’ talent was on display at one of the world’s most high-profile fashion events. On September 5, Tiffany created nail looks for models walking the Tom Ford show. The event included several high-profile models such as Gigi Hadid, Joan Smalls, and Kaia Gerber, as well as Hollywood A-listers including Tom Hanks, Rita Wilson, Cardi B, and Hailee Steinfeild. Following the show, NAILS caught up with Tiffany to get a behind-the-scenes glimpse of the experience. 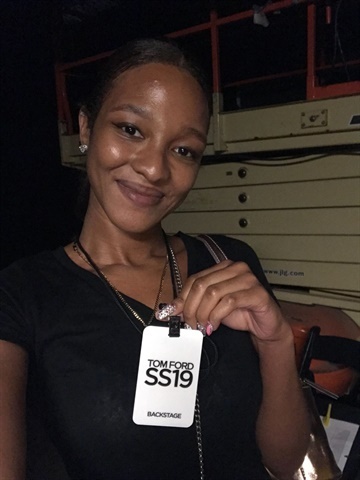 How did you get the opportunity to work at the Tom Ford show? I was on Instagram and saw a post from @nailsbymei looking for nail techs at NYFW. I reached out right away, sent examples of my work and got a call back. Can you describe the looks on the Tom Ford runway? The women’s nails were short, oval and painted a dark, glossy black. Because Tom Ford doesn’t make a black polish, we used Essie. If a model’s nails were not long enough, we improvised and applied press-on nails. The male model’s nails were clipped super short, oiled and buffed to a high shine. Can you describe the atmosphere backstage at NYFW? The music is high-energy and you can hear the crowd getting excited as the show draws closer. Everyone — hairstylists, makeup artists and nail techs — is working on the model at the same time. Unlike in a salon, there is a lot of stop and start. A model gets called to rehearsal and the nail tech needs to go find her model again to finish the nails before the show starts. What was an amazing moment for you? I heard someone say, “Yes, the nails. Love the nails.” I looked up and was eye-to-eye with Tom Ford! He was doing a walk-through of everything before the show and he seemed really calm. He smiled at me — and I smiled right back! Earlier this year, I won a Beauty Changes Lives CND Master Scholarship. I’m looking forward to taking the Grand Masters class when a class comes to the New York City area. What words of advice do you offer for other nail techs? Pursue opportunities and don’t be scared about what the response might be. Always be fearless! You can follow Tiffany on Instagram at @glammetiff. See more NYFW nail trends in this photo gallery.